What is XYZ Admarket ? 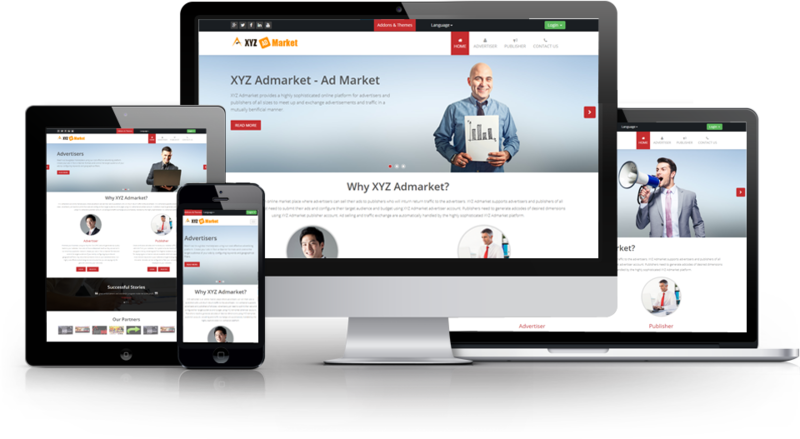 XYZ Admarket is a simple and feature rich PHP + MySQL based script which provides you a platform to launch an advertiser-publisher network or adserver site like Google AdWords/AdSense, Bidvertiser, Media Net etc. It supports Pay-Per-Click (PPC) text and banner formats for advertisers as well as customizable text/banner ad display codes for publishers. 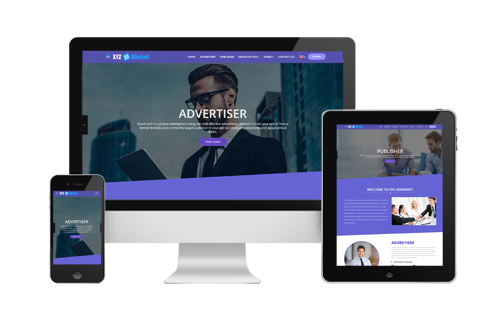 CPA, CPM, CPD, Affiliate Ads, Vast Video and HTML5 ads, Interstital Ads, E-Commerce Ads, Pop Ads, Native Ads Display, Referral System, Bitcoin Payments, Category and Site Target, Re-targeting are available as addon with the script. How to benefit from XYZ Admarket ? XYZ Admarket is a complete turnkey solution to make your own advertiser-publisher network or adserver online in no time. Find below some of the major benefits of the XYZ Admarket script. Connect advertisers with publishers (website owners) using XYZ Admarket and get a share of advertising cost as your commission. The higher the number of advertisers and publishers, the larger your earnings. Problems finding advertisers for your network ? No worries. Use 'Third Party HTML Ads' addon and make earnings. Resell ad display from third party networks to your publishers to generate revenue. Low click rates affecting your earnings? Try the 'CPM Ads' addon. 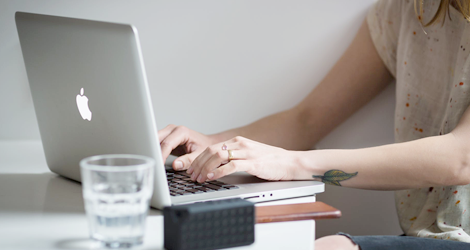 Monetize each ad impression on your network. Facilitate ad display on bitcoin communities. Install Bitcoin Gateway addons to get Bitcoin (Ƀ) from advertisers. Use the CPA addon and start earning from conversions like sales, subscriptions, installations, leads, etc. on your advertiser websites. Monetize the Pop traffic (Pop-up, Pop-under and New Tab Pop Ads) of your publishers using the 'Pop Ads' addon. Enable video ads in video playbacks on your publisher sites. Use 'VAST and HTML5 Video Ads' addon and start earning. Use the Cost Per Day (CPD) addon (also known as Sponsored Ads) and advertiser can display their ad in the selected publisher site for a time period. Using the affiliate ads addon, we can display the affiliate ads in publisher site and earn for original sales through the affiliate network. 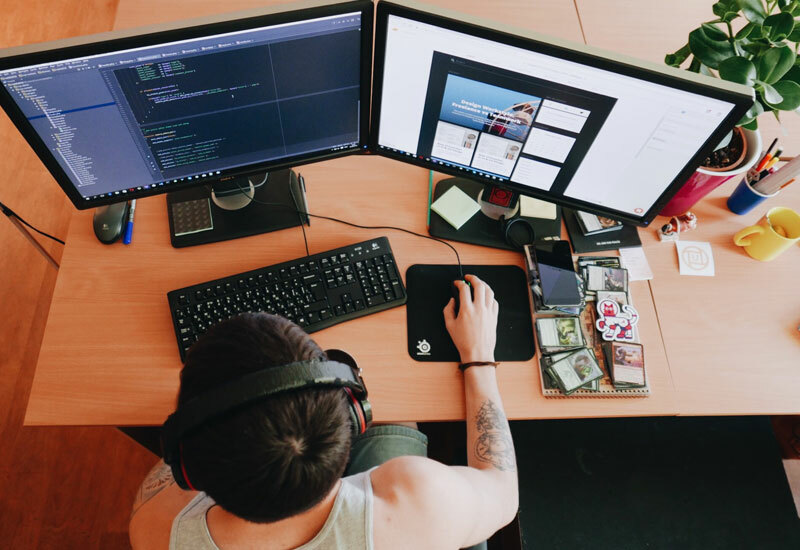 With the help of addons XYZ Admarket support Text Ads, Banner Ads, Text+Image Ads, Video Ads, HTML5 Ads, Interstitial Ads, Expandable Ads, Pop Ads, Native Ads, E-Commerce Ads. Keyword, Category, Device, Time, OS, Browser, ISP, Browser Language, Country, City, Connection Type targeting and Re-targeting/Re-marketing are available with addons. XYZ Admarket comes with highly efficient fraud tracking mechanisms which can detect,prevent as well as reverse all kinds of automated and invalid click attempts. Power-up your xyz admarket using the below addons to gain a competitive edge. 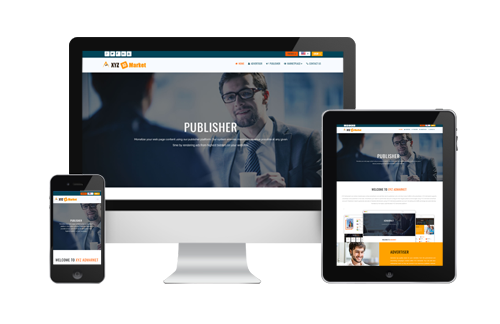 Improve the aesthetic appeal of your xyz admarket with modern responsive themes. To send mails from PHP, the mail() function must be enabled. To automate certain tasks, you need access to Cron (Linux) or Scheduled Tasks (Windows). Ioncube loader has to be enabled by your hosting company to install this product. Support to mbstring (multi byte string)function and apache rewrite module. Just some of the top brands that trust xyz admarket.